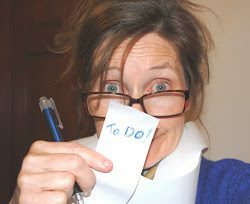 Today I will begin a checklist (I get excited just thinking about it!) of things you might consider as you walk through the journey of marriage.Sharpen your pencil and make sure you check-off this “To Do” ! True Love doesn’t mean having a relationship of ease; it means making the continual choice to love and forgive. ‹ PreviousTrying to Live in Two Worlds? Next ›How to Make Jesus Smile…And Save Your Marriage!